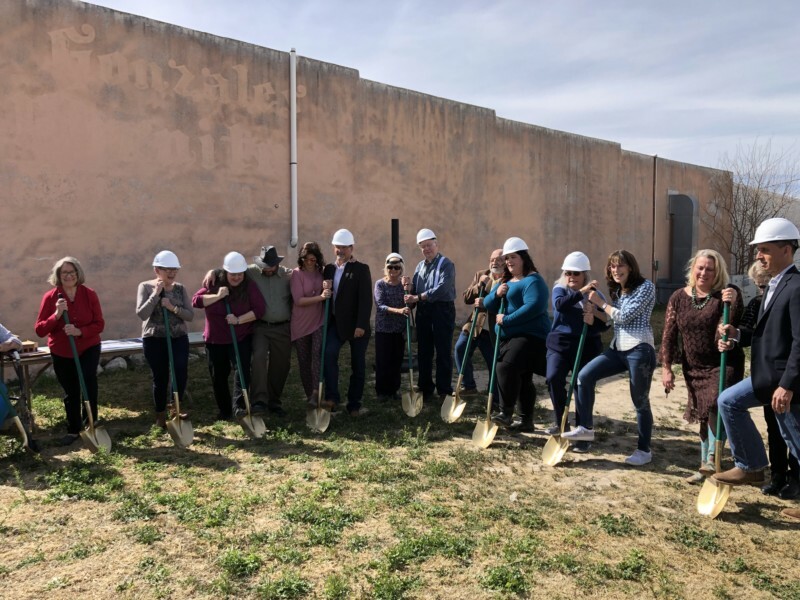 Fort Stockton Community Theatre is working on a new home! Located literally “west of the Pecos”, Fort Stockton is a small community of about 8,000 people. Despite its size, the town has an active community theatre that for years has performed in a repurposed brick commercial building. 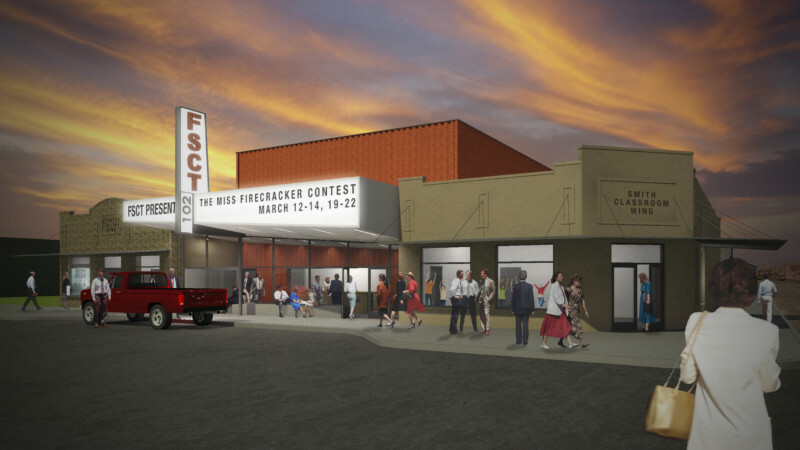 The proposed new building will integrate the existing structure at 102 S Nelson while creating a new identity for the theatre that references both the existing downtown cityscape as well as the surrounding desert plateau landscape. 2/13/19 update: NEW THEATRE CONSTRUCTION & RENOVATION BEGINS! 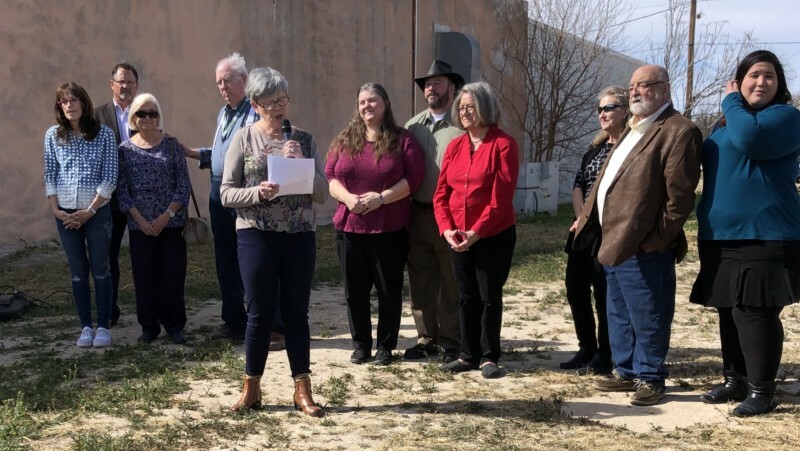 The groundbreaking held on Wednesday, February 13, 2019 marks the official beginning of the construction and renovation of the Fort Stockton Community Theatre!